Esprow ETP for SWIFT® MX delivers a toolset to automate testing of SWIFT® MX-based applications. Its integrated environment allows management and customization of MX dictionaries, messages, components and fields. Its simple and intuitive UI enables users to quickly build test scripts to exercise the functionality of downstream SWIFT® MX systems and gateways, and to create simulators that respond to SWIFT® MX message flow as downstream systems do. It also includes the yearly update to the SWIFT® MX message specifications to always keep tests and simulators up-to-date. For more information on ETP Studio for SWIFT® MX please contact Esprow Sales. 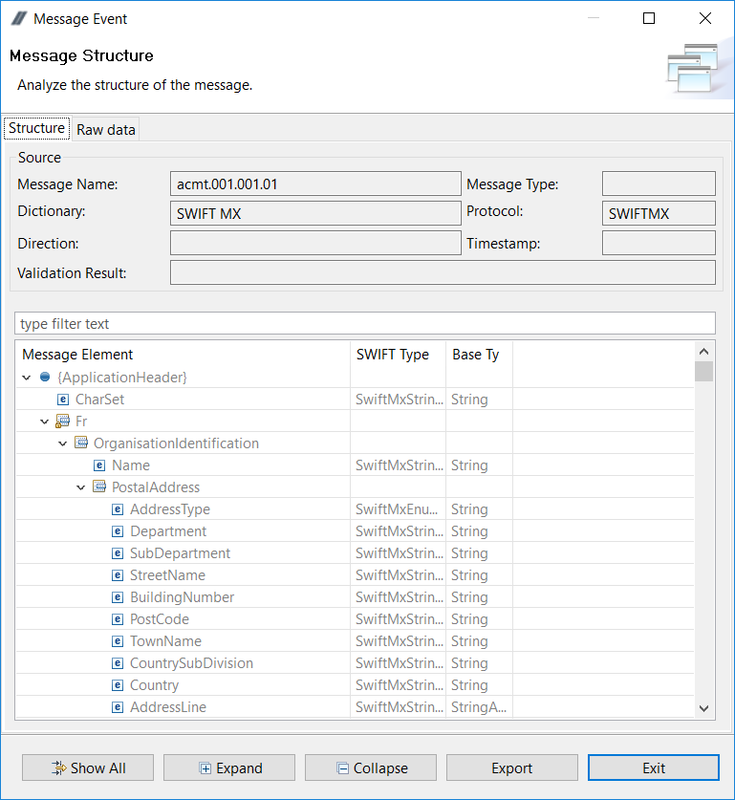 ETP Studio provides support for SWIFT MT as well, including ISO15022 and related messaging technologies.